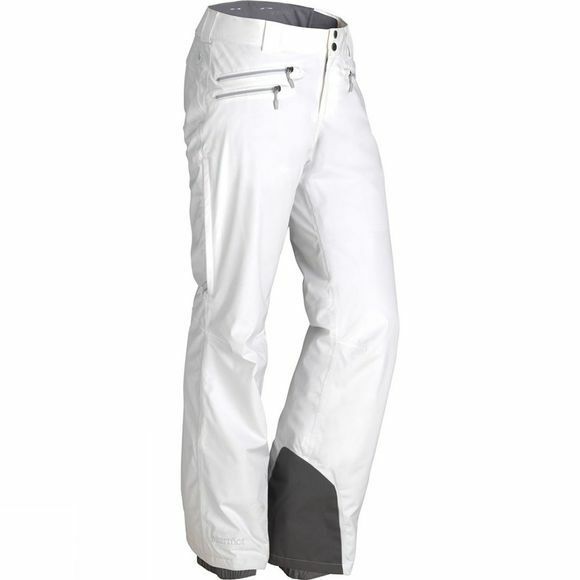 The flattering fit and stylish design give the Women's Slopestar Pants their bragging rights. But don't be fooled by the clean look: they're a functional phenom. Made with a 100-percent seam-taped construction and Marmot's waterproof/breathable fabric, the Women's Slopestar Pants are kitted with all the coveted mountain features like toasty warm synthetic insulation, brushed tricot seat and thigh, Cordura scuff guards, zipped leg vents and internal gaiters.